PVR Cinemas in association with HP India has launched Asia’s first HP Virtual Reality (VR) Lounge at PVR ECX, Mall of India, Noida. PVR Patrons will now be experiencing a new dimension of entertainment while they wait for their film to begin. 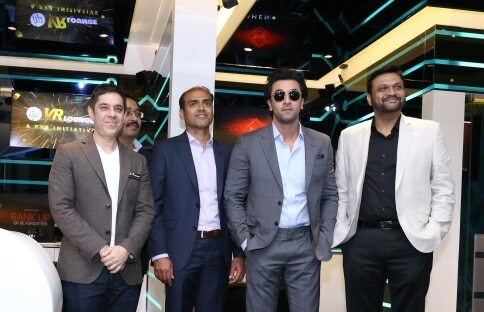 With this initiative, PVR becomes India’s first multiplex to bring in a never-before experience to its users with a rich variety of immersive and interactive content. The brand new concept at PVR ECX has four VR pods equipped with latest groundbreaking technology of OMEN by HP. that delivers an unparalleled immersive and interactive experience. Besides the best in class technology, the HP VR Lounge also provides a whole new library of fascinating and adventurous immersive and interactive content curated from various different genres like drama, fiction, sci-fi, horror, action etc. The patrons who have purchased the movie tickets at PVR ECX can avail the facilities of VR lounge.